* It is official. 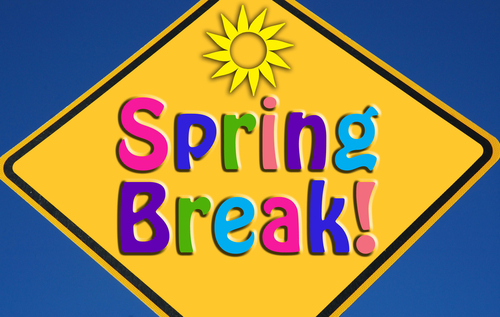 I am on Spring Break!!! *I spent the day talking to juniors about SAT testing, doing their best, what kind of scores they should be aiming for, and looking ahead to their senior year. *I was one of many people who helped get another senior on their path toward training for a career by helping him apply for lineman school in Spokane. *Kevin and Linda arrived this afternoon to get pieces of old KHS gym floor to take back to Nampa so they, too, can construct a dance floor for their daughter Taylor’s wedding coming up this summer. *Zoe made a delicious dinner with citrusy chicken and coleslaw in a Pita. We brought Mom over for dinner, and she enjoyed visiting with Kevin and Linda, too. Paul arrived after he was done with Parent/Teacher Conferences. *One of Paul’s drama students likes to make videos, and he edited a music video using students in Paul’s drama class. If you would like to see Kaen’s creation, as well as see Paul play a mean heavy metal piano, go here. *Now that my brain was no longer fried, as it was last night, I could look over Zoe’s taxes. We made some adjustments, and it was not as bad as she thought. In fact, she received refunds instead of having to pay. Rejoice, rejoice, rejoice!! !